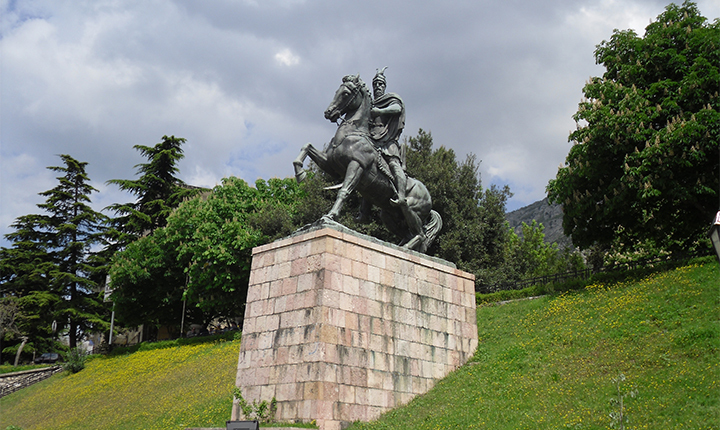 The Krujë Skanderbeg Monument was the first ever dedicated to Skanderbeg in Albania. The monument features the statue of the national hero Gjergj Kastrioti Skanderbeg, armored, and riding his horse in battle. It is one of the most beloved monuments of the city, and a scenic view, with the Mount Dajti National Park in the background. Archaeological site of Albanopoli – On a hill side near the village of Zgerdhesh (between Kruje and Fushe-Kruje) are the ruins of the ancient city of ‘Albanopolis’, the capital of the Illyrian tribe ‘Alban’ which flourished from the end of the 3rd century A.D. It is from the ‘Alban’ Illyrian tribe that the country started to be called ‘Albania’ and the people ‘Albanians’. 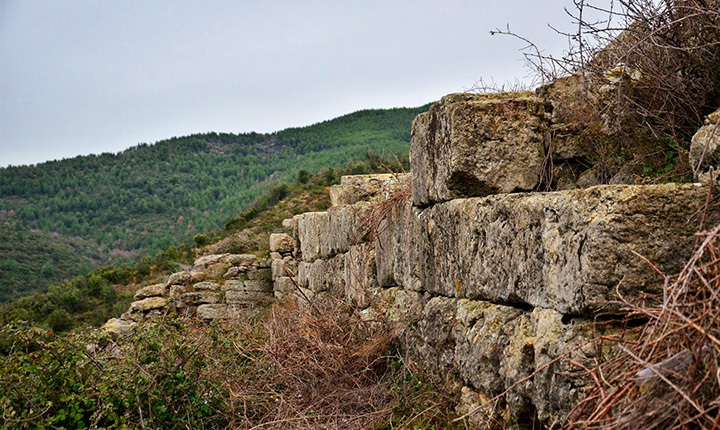 A visit to Ancient Zgerdhesh is rewarding for the magnificent views across the coastal lowlands towards the Adriatic as well as for the impressive remains of Illyrian walls and fortifications. Kruja Castle – was built during the 5th and 6th centuries and has an elliptical shape with a total area of 2,25 hectars. 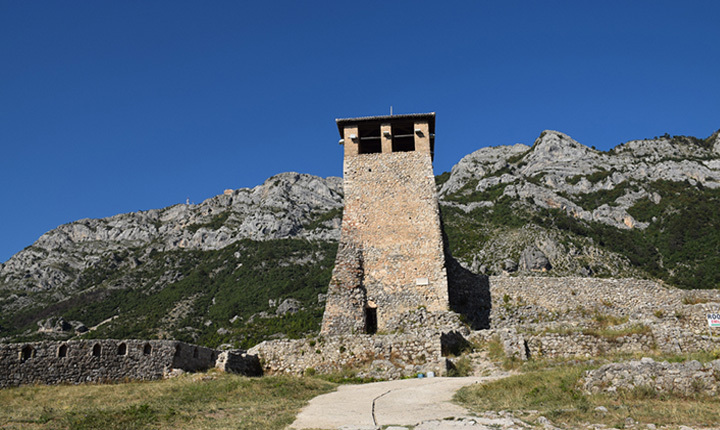 The surrounding walls are reinforced by nine towers, which served as an observation and signaling post during times of war. Within the walls of the castle there can still be found the remains of a few houses. 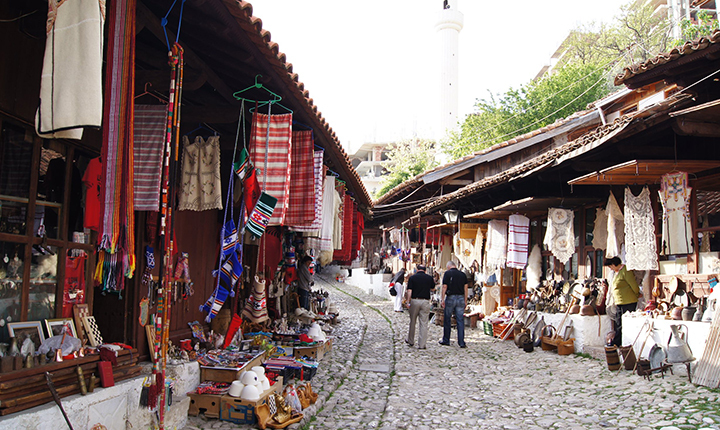 Traditional Bazaar – on the way to the castle, a medieval – type bazaar with traditional handicrafts such as filigree, alabaster, silver, copper, wooden made objects, wool carpets, etc. Its main pecularities are that all the shops are made of wood. Hotel PANORAMA is a prestigious luxury hotel situated in Kruja , near the Rinas Tirana Airport offering its guests the atmosphere of a grand hotel with modern amenity . Our hotel is the best possible variant . Copyright 2017 Ⓒ by Hotel Panorama.